A panel is constructed from 3 mm or 6 mm thick MDF with 6mm diameter holes at 50 mm centers. 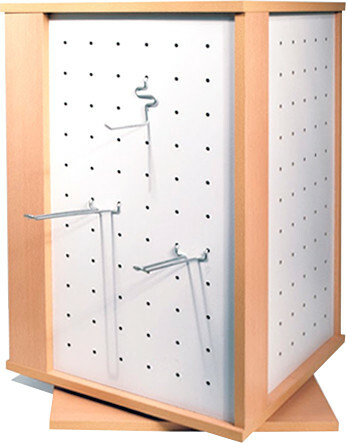 A wide range of peg panel accessories has been developed and is manufactured at our own bending and coating line. 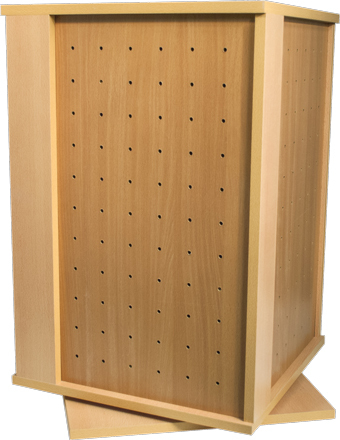 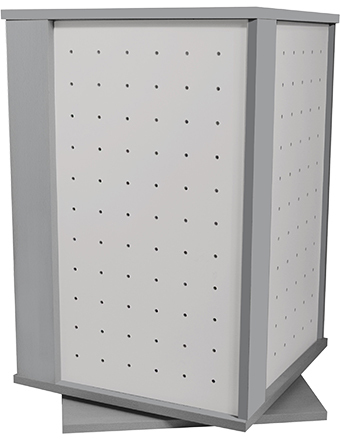 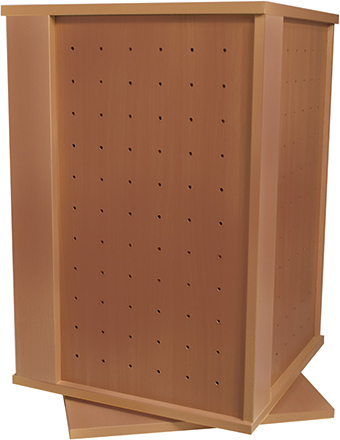 An extensive range of floor and table/counter units, gondolas, revolving sta.ds and columns have been developed incorporating perforated panels. ABBOTT’s custom-made department is available to discuss your special in-house requirements for both perforated panels and accessories.